Inside the car we managed to quickly ‘compare notes’. Huda filled me in on his groundbreaking film Jihad Selfie, while I informed him about my political revolutionary novel Aurora, and my big work in progress, a book about Afghanistan. I also mentioned my future ‘Afghan’ film, a dark love story, a drama about betrayal, collaboration and the virtual collapse of one family; a film which I’m preparing to produce and direct sometime during the next year. Since World War Two, the U.S. was afraid of so-called ‘domino effects’. Among other things that are now happening in the Philippines under president Duterte, the government is curbing activities of the multi-national mining conglomerates, and the West cannot accept that. Philippines are putting its environmental concerns above the short-term profits! For the millions of left-wing activists here in Indonesia and all over Southeast Asia, Duterte is a role model. Eventually the Indonesian state dismantled ‘Darul Islam’, but there was an off-shoot of it created soon, ‘Komando Jihad’. Fighters from Komando Jihad then went to Afghanistan. Ideologically they were hard-core Salafis, but with the Western support. They received Western help to acquire weapons and other basics. According to my contacts in the Indonesian intelligence community, the U.S. was backing this infiltration of Afghanistan by ‘Komando Jihad’ and by others. 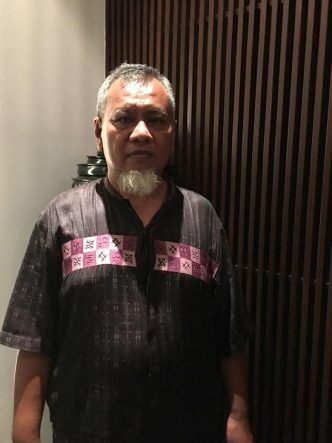 I’m also in possession of a piece of information that the Indonesian army (TNI) commander in the 1980’s, General Moerdani, was supporting Indonesian and Afghan jihadists, by supplying them with the weapons (including the AK-47’s). 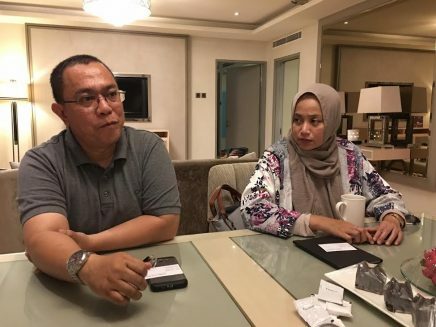 Again, according to my Indonesian intelligence sources, the ‘departure’ itself of the Indonesian jihadists for Afghanistan was also directly helped by the U.S., under the cover of ‘Islamic study groups’ and other ‘communities’, and the route that was utilized was: Indonesia – Malaysia – Philippines – Afghanistan. The biggest mistake the Soviet Union made here was to attack religion outrightly. If they’d first stuck to equal rights, and slowly worked it up towards the contradictions of religion, it could perhaps have worked… But they began blaming religion for our backwardness, in fact for everything. Or at least this is how it was interpreted by the coalition of their enemies, and of course by the West. Now, why is the present Western invasion so ‘successful’; why is there so little in terms of intellectual opposition? 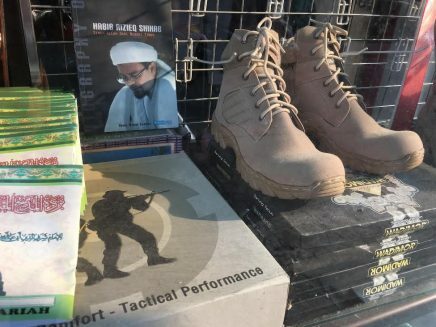 Look at the regime in Kabul… During its rule, the US convinced people that Western intervention was ‘positive’, ‘respectful of their religion and cultures’. They kept repeating ‘under this and that UN convention’, and again ‘as decided by the UN’… They used NATO, a huge group of countries, as an umbrella. There was a ‘brilliantly effective’ protocol that they developed… According to them, they never did anything unilaterally, always by ‘international consensus’ and in order to ‘help Afghan people’. On the other hand, the Soviet Union never had the slightest chance to explain itself. It was attacked immediately, and on all fronts. In reality, the West has always been using (and finally it has managed to divert) Islam. Some great Muslim scholars, including those that I met in Teheran, believe that Washington, London, Paris and other centers of the Western imperialism and neo-colonialism, actually succeeded, in many parts of the world, to create a totally new and (to many true and intellectual Muslims) unrecognizable religion. Indonesian jihadi cadres hardened in Afghanistan and trained by the Pakistanis eventually returned to their country. There, they went to “work”, participating in such bloodlettings and killings as those in Ambon (Maluku) and Poso (Sulawesi). In Ambon the conflict continued from 1999 to 2002, and while it lasted, allegedly 8,000 people died, while thousands belonging to both sexes were involuntarily and brutally circumcised and genitally mutilated. In Ambon, I saw the jihadi cadres in action, hacking to death a young innocent boy, right in front of the eyes of a cheering crowd of onlookers. I later described the horror of this incident in my novel Point of No Return. Poso and Ambon, that’s the “Afghani Link”. During those massacres, there were still some ‘old jihadists’ from the Afghan days, participating in the actual fighting. However, there were also some ‘fresh’ fighters there, many of them undergoing exercises with the Indonesian ‘Afghans’. Poso and Ambon conflicts were in fact serving as two training grounds. After that, a new generation of combatants had risen. I met Osama fleetingly, in 1987 and 1988, but in those days he was not an ‘ulama’. He was funding Mujahedeen. He was a contractor in Paktia Province and he was based in the north of that province, in an Arab camp, helping Mujahedeen and also building the roads. After Soviets entered Afghanistan, Osama’s people made a ‘council’; it was like a shadow Mujahedeen government. There was news all over Indonesia, that a Muslim country was attacked by the Soviet Union. My initial desire was to fight the USSR. At the beginning I was not allowed to fight, and it was not Afghanistan where I was sent; it was Pakistan. I was ordered to study at Etihad Islami Military Academy there. At some point, all foreign jihadis had to leave Pakistan, so we were moved directly to Afghanistan. In Paktia Province they built an entire camp for us. We were attacked by the Soviets there, on several occasions; us, as well as the ‘Arab Camp’. MIG-21 jet fighters were used. But by then, Russians were already beginning their withdrawal. After the Soviets left, Afghanistan was still governed by a Communist government, so we fought it, too. I was ready to fight: first the Soviets, than that Communist Afghan governments. I saw Russian prisoners, pilots, shackled, in Pakistan. I was not affraid of them. The goal was simple: in Afghanistan we wanted to prevent the Communist ideology from being accepted. Actually, my knowledge about it was very shallow. That’s fine: we were war machines for Mujahedeen. What we were told was that the Communists don’t believe in God, and that they are professing secularism. Almost everything done by the Communists was good, I know… But because they believed in Communism and socialism, it was not right, it was ‘haram’. Our pledge to God was what really mattered. In terms of importance, God was Number 1, and only then came the world of humans. As long as their government is Communist, we’ll fight it… And I pray that Taliban wins. Yes but the U.S. went to Afghanistan to fight the Taliban, not Communism. The government is still Communist; a puppet regime of Russia. I train, we train volunteers who are ready to go and fight in Syria. It is because Syria is not only Communist, you know – Assad and Russians – but also it is Shi’a. I like the country, it is beautiful. I liked religious life there. Afghans were very kind to us, treated us like guests… We were offered their women, too, to marry, but the dowry was too high. Some had blue eyes, and we wanted to marry them, badly, but really: we couldn’t afford their women with our modest ‘salaries’. 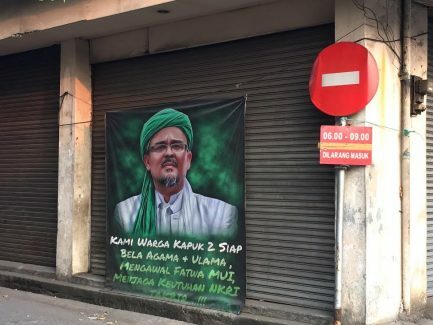 Jihad in which Indonesians want to participate is based on hate… In my book, I explain that the Indonesian fighters in Syria are mainly affiliated with several groups: ‘Ikhwanul Muslimin’, ‘Hizbut Tahrir’ and Al Qaeda/ISIS. Unfortunately these groups have supporters in Indonesia. 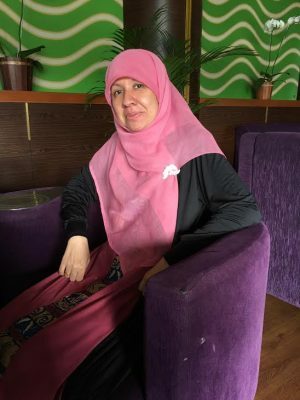 They keep spreading fake photos and videos about Syria, to ignite sympathy, even anger of Indonesian people, so they give donations or even join jihad. It’s a good deal for them. They are waging ‘holy war’, they’ll go to heaven, and plus they get paid. They accuse president Assad of being ‘infidel’. That’s their rallying cry. 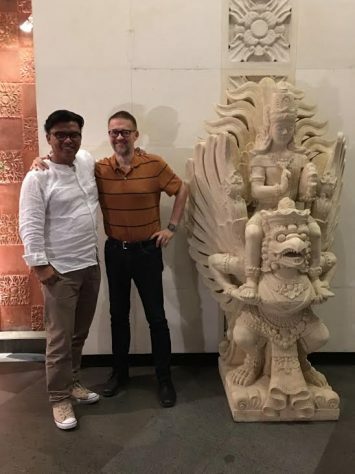 Indonesian mass media ‘coverage’ is only directly translating what is said by the Western media: the CNN, the BBC and others…. If not those, then at least Al-Jazeera which is often even worse… As a result, Indonesians are ‘very concerned’ about Syria.’ Of course, in my books I’m trying to correct the misconceptions, but the propaganda apparatus is so powerful. Al-Qaida and ISIS do not get along well. In the context, most of the fighters, those who support ISIS, they have been gathering in the same mosque. They are using social media. Maybe the Afghan ‘alumni’ and the ISIS supporters do not like each other, but they share the same ideology; the root, the matter is the same, which is toppling and challenging the secular systems. Those who think that it is “all about oil” are mistaken. The West is, of course, trying to control, fully and brutally, all that moves in the Middle East, North Africa and as far as Iran and Afghanistan. But that’s definitely not all: jihadi groups, created by the West and its allies in the Gulf, have been used to destabilize the two greatest adversaries of the West: Russia and China. This article was posted on Thursday, June 8th, 2017 at 6:10pm and is filed under Afghanistan, China, Indonesia, Media, Militarism, Narrative, Osama Bin Laden, Pakistan, Philippines, Propaganda, Russia, Syria, Terrorism (state and retail), United States.